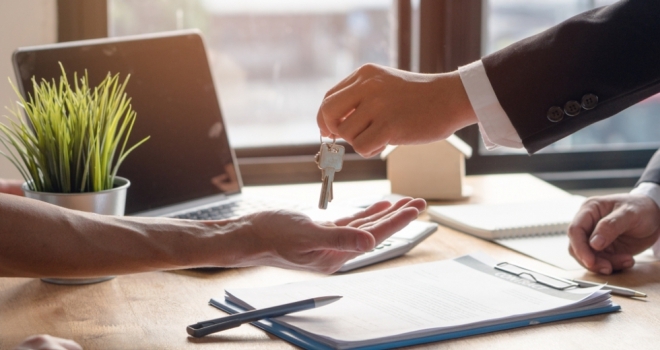 The latest data released by Hamptons International has revealed that the proportion of homes let by an overseas based landlord has more than halved in the last eight years. According to the report, during 2010 when their records began, overseas based landlords let 14.4% of homes in Great Britain, but this has fallen to just 5.8% in the first 11 months of 2018 - the lowest level on record. Every region in Great Britain has seen a fall in the proportion of homes let by an overseas landlord since 2010. London has seen the biggest drop off. One in four (26%) homes let in London were owned by an overseas based landlord in 2010, but this has now fallen by 15.5% to reach one in ten (10.5%) of homes let so far this year. The proportion of homes let by an overseas landlord in the capital has fallen 4.7% in the last two years alone. Yet London still has the highest proportion of homes let by an international (based) landlord than in any other region. Elsewhere, the proportion of overseas based landlords has fallen 10% in the South East since 2010, followed by the North East (-6%) and East Midlands (-6%). Outside the capital, Yorkshire & the Humber has the highest proportion of homes let by an overseas based landlord (6.7%), but this region has only seen a -4% fall in overseas based landlords since 2010. Western Europeans make up the biggest group of overseas based landlords (34%), followed by Asian (20%) and North American (13%). However, since 2010 the proportion of Western European based landlords has fallen by -2.1%, compensated for by a pickup in Asian landlords (+2.1%). Middle Eastern based landlords have also risen by 1.4% since 2010 and now account for 11% of overseas based landlords. The average cost of a new let in Great Britain rose 1.1% year-on-year in November to stand at £968 pcm. Every region in Great Britain recorded a rise in average rents, but the East of England saw the strongest growth (2.9%), followed by Scotland (2.5%) and Wales (1.9%). Meanwhile Greater London saw the slowest rental growth, with rents rising 0.1% year-on-year. Aneisha Beveridge, Head of Research, Hamptons International, said: “The proportion of homes let by an overseas based landlord has more than halved since 2010. Sterling’s depreciation since 2016 undoubtedly makes it cheaper for international buyers to purchase property in Great Britain. However, the conversion of pounds back into local currency means additional costs which cut into an overseas landlords’ monthly income. This combined with a harsher tax regime for overseas investors is dissuading some international investors from entering the rental market.